Smith became an overnight sensation in 1964 when her first single, "Once a Day" became a number one hit, the first time a female singer's debut single accomplished such a feat. Ms. Smith enjoyed a string of hits in the following years that have become country standards, including "Ain't Had No Lovin'", "Just One Time", "Run Away Little Tears" and many more. She became a star whose iconic voice has influenced other great singers for decades, and has recorded a string of 53 albums notable for their quality and range. "There's really only three real female singers in the world. Streisand, Ronstadt and Connie Smith. The rest of us are only pretending." In 2011, Ms. Smith released Long Line of Heartaches, her first full album of new material since 1966 on Sugar Hill Records. 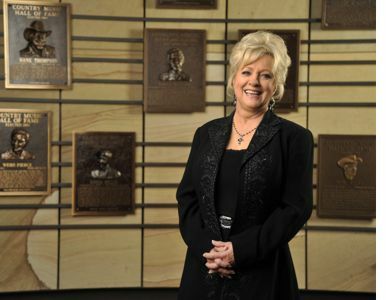 The album included five new traditional country songs co-written by Connie and her husband Marty Stuart who also produced the project at Nashville's celebrated and historic RCA Victor Studio B. The same year Ms. Smith also had the honor of being selected as the Artist-In-Residence at the Country Music Hall of Fame and Museum where she served as the curator and host for three intimate performances in the Ford Theatre.